I just changed theme to human, but window controls remain on left side. It looks horrible. 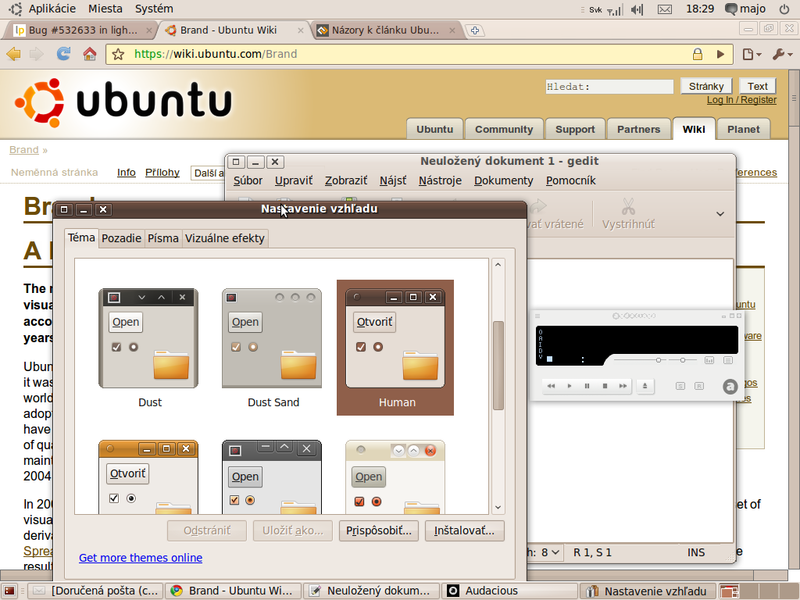 (Attachment:human-window-controls.png) And what about consistency with applications, which do not use metacity (compiz)? I think, that a lot of regular users will have problems with it(Attachment:consistence_with_other_applications.png). Light theme is not also very accessible for users with impaired mobility or users with poor sight(window controls over File/Edit...).